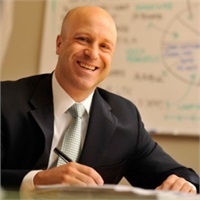 Over 20 years ago, Matt Scarafoni established a financial services firm with the philosophy that the best way to serve clients is to build personal, long-term relationships and present tailor-made financial solutions to meet your unique, ever-changing needs… to be trusted guides. This level of trust helps you, our Berkshire Fairfield client, focus on your day-to-day responsibilities, all the while, knowing that your business and financial matters are on solid footing. Matt is a licensed securities representative and has earned the Certified Family Business Specialist (CFBS) designation from American College in Bryn Mawr, PA. This important certificate prepares financial professionals to help clients with the intricacies of family business succession planning, related estate tax considerations and how to deal with such issues as family-owned businesses and estate equalization. Matt has also received special recognition from his peers for outstanding performance in the industry: William J. Clark Agent of the Year Award from Massachusetts Mutual Life Insurance Company, Agent of the Year from the General Agents and Managers Association of Western Massachusetts, Massachusetts Mutual Life Insurance Company Leaders Conference invitee and Statewide Lecturer, Consumer-Driven Health Care and Health Insurance Industry Trends. A devoted supporter of both clients and Berkshire County, Matt has held or currently holds leadership roles in several community development and charitable organizations. Matt is a graduate of Georgetown University.